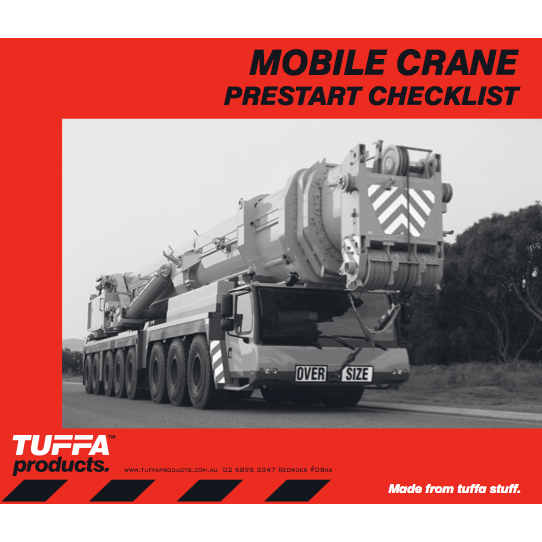 TUFFA™ Products stocks Mobile Crane Prestart Docket Books. 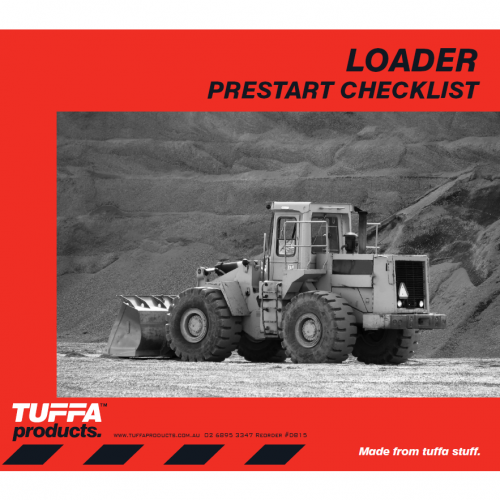 Prestart Books are key for worksite who need to ensure their equipment is in working order. 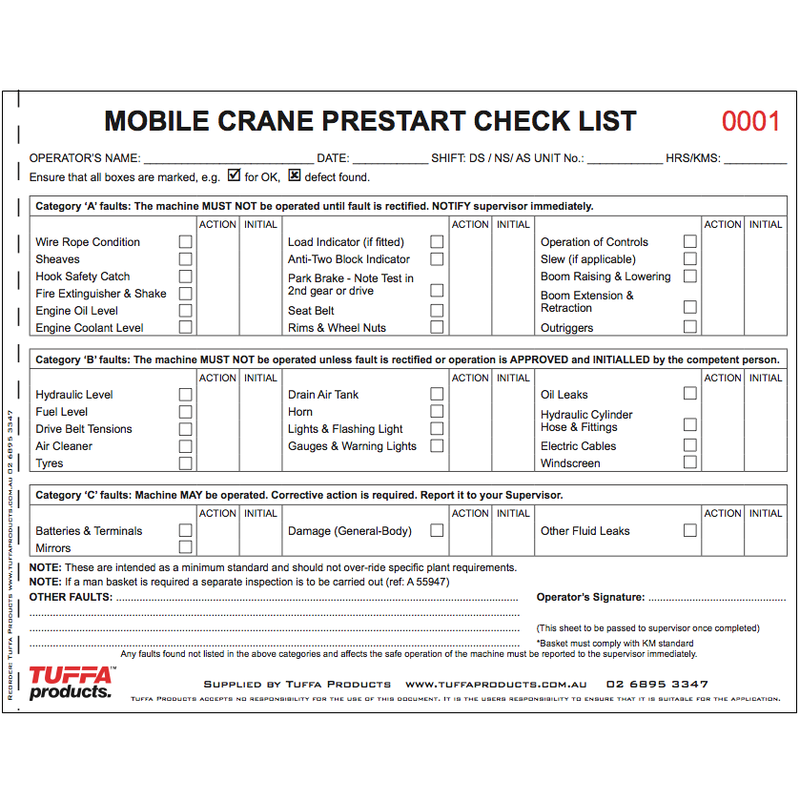 Workplace safety is incredibly important and our Mobile Crane Prestart Docket Books assist workplaces improve safety for workers using Mobile Cranes on a regular basis. 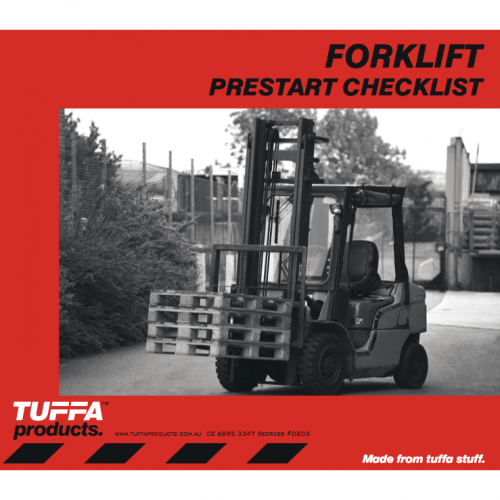 Additional Notes Fold in Flaps, Printed Hard Cover and Tape. 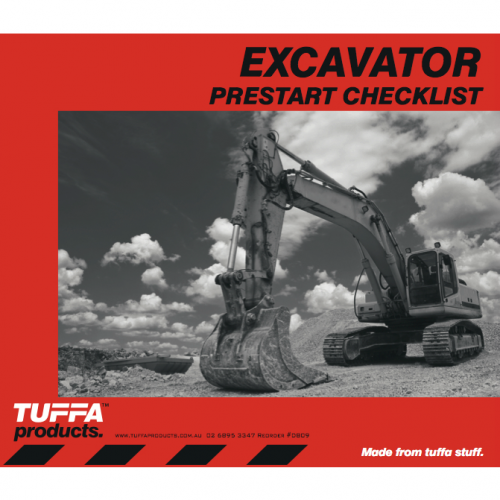 Free Samples – Try before you buy, just call 02 6895 3347 to request a sample pack. 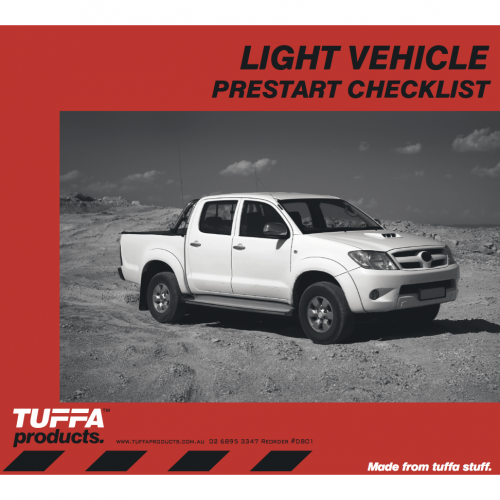 We can customize – We can custom design tags to any shape, size or specification.